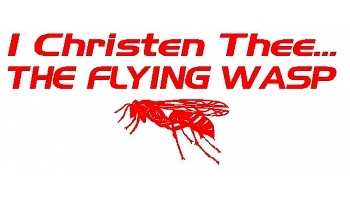 A famous quote from the hilarious movie "Caddyshack"
The wasp decal was selected from our inventory of insect decals. The total heigth and width of this decal is 6" X 15". The custom color is red. If you have an idea for a custom decal please e-mail us through our request-a-quote option.